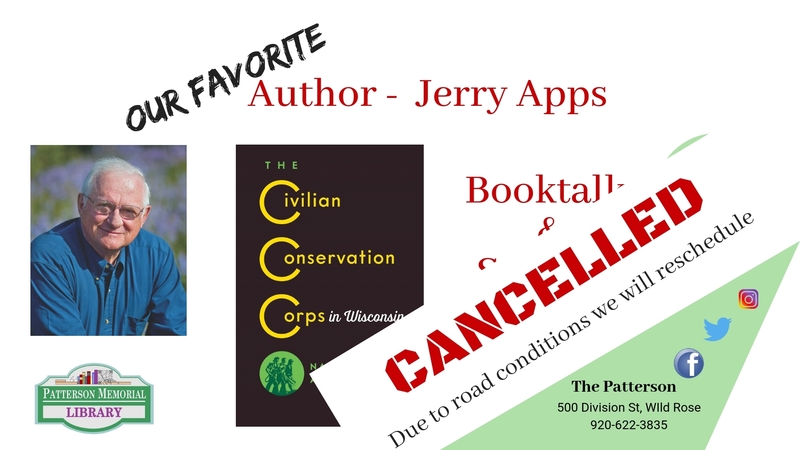 The Jerry Apps Boook Event for this evening has been cancelled due to driving conditions. We'll reschedule as soon as we get a date from Jerry! Wild Rose Public Library is a member of the Winnefox Library System.